I first experienced Atlas Reactor just before Trion made its big announcement at the PAX Prime party last summer. At the time, I didn’t really know what to think of it. First, it’s clearly set in some futuristic timeline, but then it has come fantasy elements like gremlins and cat-people. I’m on board with that. I’m frankly tired of high fantasy. 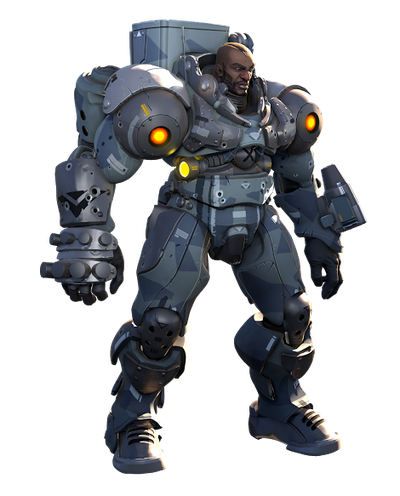 The characters, which Trion calls Freelancers, are similar to what we find in League of Legends or maybe closer to the upcoming Blizzard shooter Overwatch. So far, so typical, except it’s turn-based. What? Yes, turn-based. I was thrown, too. Senior Producer James Karras and Lead Designer William Cook called us up to talk about how Altas Reactor works and what makes it stand out, and then they demonstrated a few rounds of the game over a private livestream. One thing I’m sure of is that Atlas Reactor is an interesting concept definitely worth a second look. Perhaps you read about the game after it was first demoed, but like many people didn’t really think about it. That’s understandable because none of the pieces of this PvP-centric game is new. But when you put all the pieces together into one game, you walk away with something very unique. Some of you might be fans of XCOM, the turn-based, strategy combat game. At its core, Atlas Reactor resembles that game, except everyone’s turn happens at once. In the game mode I watched, a team of four fought another team of four in a death match. The first team to five kills or the most kills after 20 turns wins. So we have the mix of an instanced arena PvP and turn-based strategy; now let’s toss a bit of MOBA into the mix with the Freelancers system. Freelancers is the Atlas Reactor way of saying heroes or champions, like you find in your everyday MOBA. When we saw the game last summer, the developers let us see only a handful of characters. Now there are 14, loosely divided into three different categories: frontline, firepower, and support. MMO players will recognize this as a slight twist on the the holy trinity. 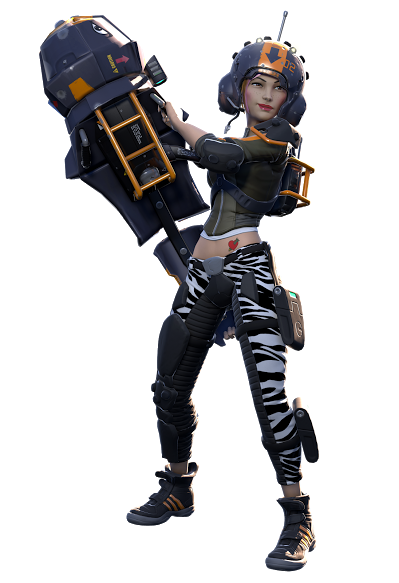 And in good MOBA style, each of the Freelancers has his or her own personality and backstory. For instance, the developers told me about Gremolitions Inc., who are a couple of gremlins that appropriately believe that they are not in a battleground but rather that they are part of a demolitions crew. The rounds that I saw were a tutorial of sorts. The player and his three AI buddies squared off against four NPC opponents. In the live game, the computer-controlled Freelancers would be steered by players, of course. A turn consists of four phases: prep, dash, blast, then move. The first three will always execute regardless of a player’s health points. However, if the Freelancer’s health equals zero after the first three phases, then she will clearly not be able to move. The prep phase sets up traps or shields or some other kind of indirect maneuver. For instance, during the prep phase, the giant robot named Rampart could drop a huge metal shield that in theory would protect the friendly players on the other side — at least I assume that is what happens because just before he slams it to the ground, the camera zooms in close to the droid, and he instructs, “Stand behind shield,” in a deep robotic voice. Other characters, like Helio, will apply buffs during this phase while shouting bad puns. The dash phase is pretty self explanatory, this is when the characters are able to move in some fashion that is not the move phase. Most of the time it’s a dash, as the name implies, but some characters, like Garrison, can leap from one point to the next during the dash phase. The blast phase, as the name implies, is where things start to blow up. Up to this point in the turn, very little damage has gone out, if any. It’s also important to remember that each turn takes place at the same time. The prep phase and the blast phase seem to happen sequentially because the camera pans from one character to the next. But as far as the damage output is concerned, it all happens at once. For example, if frontliner Asana’s health drops below zero but support character Quark fires off his heal afterward in the same turn, Asana would stay in the battle. Assuming that the character survives the other three phases, then he or she can move. Each match will last between 15 and 20 minutes, according to Cook, which he can accurately predict because each turn has a timer. During the match that I watched, the timer was a whole 60 seconds, but Cook explained that this was just for the tutorial. During an actual match, the turns will last about 15 seconds. The devs are still tweaking the exact time, but that seems to be pretty close to what they want at launch. Of course, if you run a custom match, timers can certainly change. Next up is the brand-new mod system. Don’t get too excited as I did; the devs aren’t quite ready to allow us to modify the game, yet. Mods in the case of Atlas Reactor applies to the abilities of the Freelancers. Karras explained that mods are designed to synergize with other mods, work as direct counters to other Freelancer abilities, or perform on well on a particular map. He explained that there are one, two, and three point mods, with a character getting a total of 10 points to spend. The mods are applied after the player has seen the other team make-up and the map, so it’s not a complete guessing game. After this demo, I’m definitely keeping an eye on Atlas Reactor. I’m not interested in the next super-twitchy combat simulator, but a turn-based, thoughtful game might be just my speed. The cartoony style mixed with the fun quips and taunts from characters might make this game worth picking up when it launches. 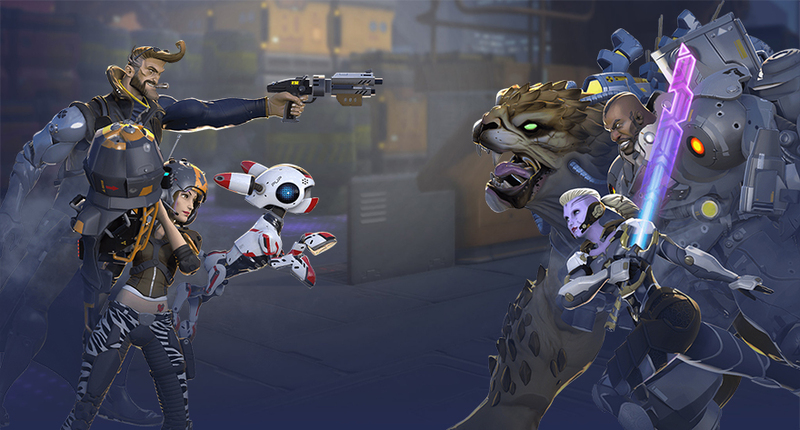 In fact, the next round of alpha testing begins this Wednesday, February 18th at 5:00 p.m. EST, and Trion invites you to sign up now on the official Atlas Reactor website. Many thanks to Trion for sharing this sneak peek with us and our readers! Previous articleThe Daily Grind: What untapped survival sandbox theme needs love? I will not touch another Trion game or game they manage. Even with their new titles they still continue to screw it up and make a mess of anything they touch. StranaFA Maybe it’s 15 seconds to plot your turn and 45 seconds to watch it play out, or knowing trion it’s 15 to plan your turn 15 to watch it and 30 seconds for a commercial. Someone doesn’t know how to do math. Beginning of article it says you win after 5 kills or most kills after 20 turns. Then later it says turns last 15 secs and match lasts 15-20 mins. So 20 turns at 15secs each equals 5 mins. 60secs turns fits but it says that was just for tutorial. This sounds cool, hopefully someone else will copy this idea real soon. PurpleCopper Play Mass Effect with pauses. (: Or did you mean a multiplayer turn based FPS? If it is at least as engaging as Banner Saga: Factions and has more depth than Aerena then it may end up going into my regular rotation. I’m a sucker for good turn-based PvP. If they pull out what League does, they can just do skins for their heroes. Paragon’s RNG card-like system is pretty cool. They’re basically perk cards that players choose their deck before the game during customization. Cards are won through game wins or crafted out of duplicate cards that turn into a deck currency. Yes, of course there’s also a cash shop with a chest that can have 5 cards in it instantly, but still random (no amount of money will buy against bad luck).